This "Historically Speaking" column appeared in the Exeter News-Letter on Friday, August 4, 2017. 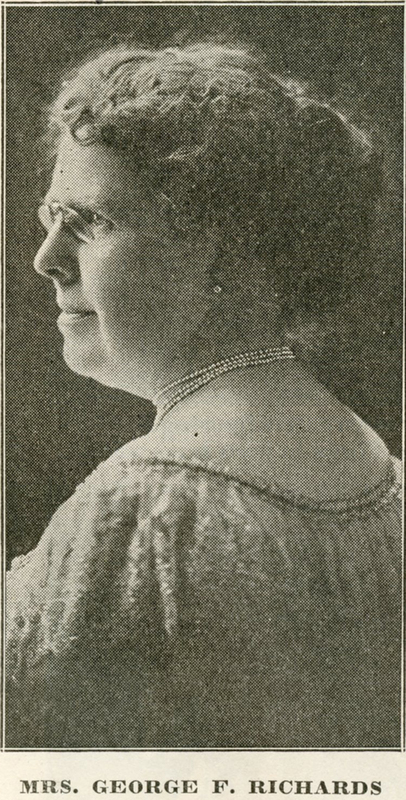 “The only woman member in the press gallery,” declares an entry in the National Magazine in late 1913, “is Mrs. Mira Webster Richards, and an active and popular member she is. Mrs. Richards is the widow of George F. Richards, of Exeter, New Hampshire, a well-known newspaper man, and was closely associated with him in his work.” George Richards may be given credit as a “well-known” writer, but his widow would surpass his career. She and George had married in 1886 – a first marriage for her, a second for him. He’d started his working life as a railroad agent, moving into newspaper work as a circulation manager. 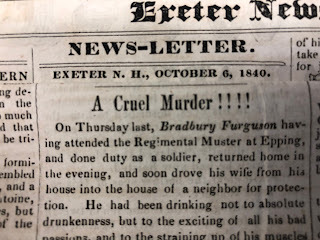 By the time he moved to Exeter shortly after his marriage, he was working as a Washington correspondent for the Exeter News-Letter, the Boston Herald and the Manchester Union. In 1898, he was elected as the register of probate for Rockingham County but kept up his writing on the side. During this part of their lives together, Mira was listed in local directories as “homemaker,” but she wasn’t just cooking and cleaning. Society frowned on married women working outside the home, so instead she involved herself in her husband’s work. Travelling with him to Washington, D.C., she kept up with the news from Congress. When he was stricken with illness a few years after becoming register of probate, the Exeter News-Letter commented, “Mrs. Richards, who had made a study of probate law, that she might be his assistant, took over the office.” She served as his assistant – actually doing most of the probate work – until his death in 1909. A woman couldn’t win an election as register of probate, and she was faced with finding some other employment. As a childless widow, she only had to support herself. 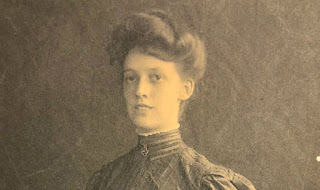 She sold the home she and George had built on Front Street and at the suggestion of Senator William E. Chandler of Concord, headed to Washington, D.C., to serve as a correspondent. She, of course, corresponded with her local newspaper, the Exeter News-Letter. Her weekly column, Washington Letter kept readers informed of how their senators and representatives were voting. Richards had to be careful of political leanings because she was correspondent for many other New Hampshire and New England papers. She wrote for the Nashua Telegraph, the Manchester Union, Keene Sentinel and Foster’s Daily Democrat. Like many writers of the time, she wrote under a variety of pen names. The Worcester Sunday Telegram noted, “Hidden behind the laconic signature ‘Richards’ for some years has been a most interesting woman, confidante of many Washington men and women in politics, who are serene in the knowledge that confidence will not be abused.” Locally, her pen name was “John Morgan,” which she quickly shortened to just “Morgan.” Her columns were a dependable part of the Exeter News-Letter – always on the front page – from 1911 until shortly before her death in 1934. In them, her true name was never given and if she’s mentioned at all in local news it was always as “Mrs. George Richards.” Even her obituary does not list her given name. The National Magazine article was the only time I could find her name in print except for official records. Even then her name was spelled either “Myra” or “Mira” – making the search more difficult. The Exeter News-Letter Correspondent Association listed her name as “Myra” but she wrote it as “Mira” on her marriage certificate. As her mother’s name was Mary Almira, it’s more likely to be the slightly unconventional spelling. She was present when World War I was declared, fought and ended. In 1920, after President Wilson fell ill, she reported on the constitutional crisis that loomed. “The question of who is to determine when presidential disability exists is upper-most in the mind of Congress today. The vice-president automatically assumes the duties of the office when such inability on the part of the President is declared, but who shall declare it is a vexed question as old as the Constitution itself.” The issue was quietly debated and tabled. The onset of the Great Depression of the 1930s found journalists in ever more conflict with Presidential and Congressional decisions. She saw in Franklin Roosevelt some small flicker of hope. On his inaugural day, the sixth she covered, she wrote: “I lost no time in pinning on my coat a great bright red, round tag, the size of a coffee saucer, on which was printed in large black letters the magic word ‘PRESS.’ And it was magic for it was not given us as a personal tribute, but as the power of the press, and issued only to members of that body who were accredited representatives of newspapers that had appointed them actual reports of the occasion. Oh yes, you may feel as if you were wearing a smallpox warning, or the flag of an auction, and try to hide that tag under your coat when it is not in use, but it is a life saver, and precious above rubies, till taps are sounded hours later.” It was the last inaugural she would cover. Mira Webster Richards died the following year after suffering a hip fracture at her Lincoln Street home. Her obituary, although it does not give her first name, said of her work, “her weekly letters written under the pen name of ‘Morgan,’ being of rare excellence and widely read.” Rare indeed.